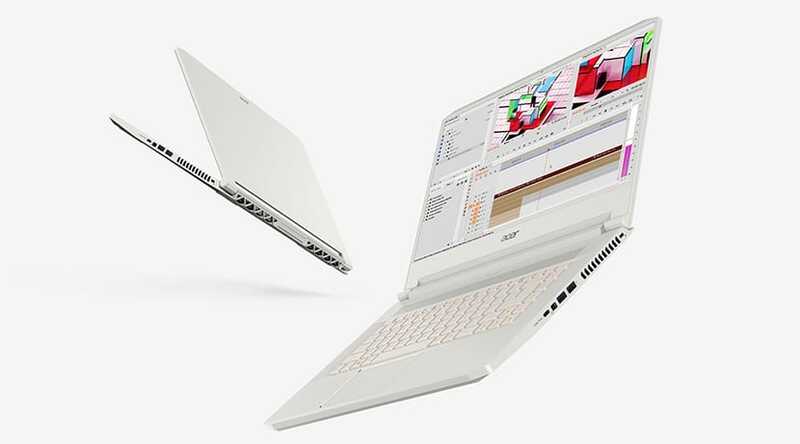 The recent next@acer event in New York unveiled a big bunch of surprises for consumers and market observers alike. At its annual global press conference, the prominent computer manufacturer announced the ConceptD—an all-new laptop series with three laptops (ConceptD 5, 7 and 9) tailored to on-the-go design professionals. The new laptops boast of stunningly powerful specs and stellar displays to the tune of NVIDIA RTX graphics and Pantone validation. This is a serious commitment to making the lives of creative souls easier, offering mobile professionals the freedom to create boundlessly. Powered by an Intel Core i9 CPU and NVIDIA GeForce RTX 2080 graphics, this is the favorite child of the ConceptD series, adept at fuelling intense design endeavors and multimedia pursuits. It has a 17.3” 4K UHD display with Pantone-validation and a 100% Adobe RGB color gamut to render imagery meticulously. A unique hinge-design supported by a Wacom EMR stylus makes this laptop flexible and easy to use in different scenarios and modes. 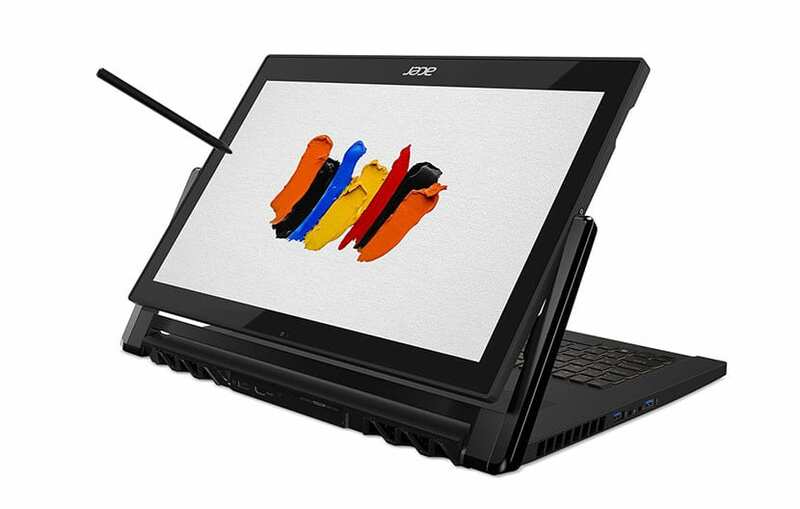 Acer launched these two 15.6” laptops with specs almost as impressive as their larger sibling, minus the hinge design. Both offer 4K UHD displays (3840 x 2160) with 100% Adobe RGB color spectrums and Intel Core i7 CPUs. A thin-bezel design allows for a greater screen-to-body ratio: up to 81% in ConceptD 7 (and 80% in ConceptD 5). The Pantone validation, with color accuracy of Delta E <2, ensures visual brilliance—coveted so much by design pros. While the ConceptD 7 is fueled by a 9th-gen i7 processor, 32GB RAM, and NVIDIA GeForce RTX 2080 graphics, the ConceptD 5 is only a few pegs behind with an 8th-gen i7 CPU, 16GB RAM, and AMD Radeon RX Vega M GL graphics. Both the devices provide up to 1TB of storage space (SSD). The standout feature is an optimized heat dissipation system that runs at under 40db and ensures quiet, efficient cooling even when you run CPU-draining software/applications. These ConceptD laptops are pleasantly lightweight and sleek. The ConceptD 5 weighs only 3.3lbs and has a thickness of 0.66”, thanks to its innovative magnesium-alloy chassis (Mg-Al and Mg-Li). The ConceptD 7 with its aluminum chassis is just slightly heavier at 4.6lbs and measures about 0.7”. It should be a breeze to lug these along—as modern-day professionals need to do so often—and make the most of the expansive form factor. 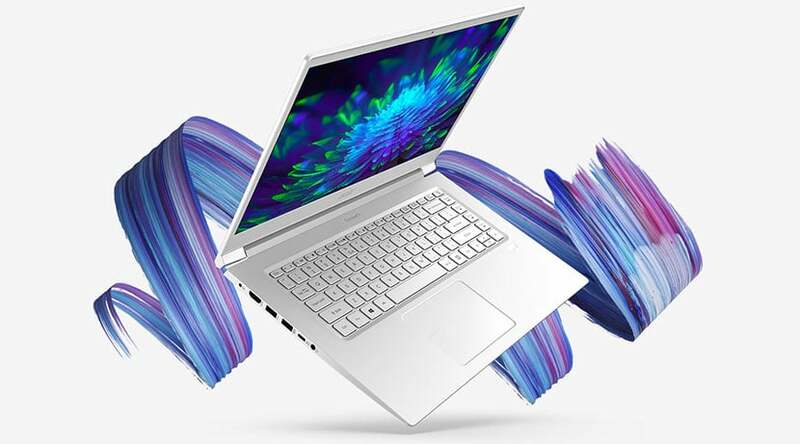 This April, the next@acer event 2019 has made Acer’s intentions and commitment for the year ahead crystal-clear: greater power hand in hand with mobility and design wins. The laptops launched under the ConceptD series seem well-equipped with all the muscle that creative professionals need, without compromising on portability or ease of use. The specs are among the best we have seen, as also are the aesthetics, and the reception promises to be overwhelming.